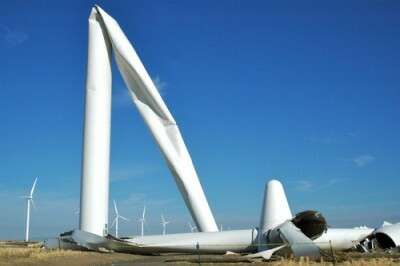 The Beginning of the End, for Australia’s Wind Weasels! The wind industry in Australia, already belted, battered and bruised, has just been delivered what STT considers the fatal blow. On Friday just gone, the front page of The Australian carried the headline “Call to curb wind subsidies” in an “exclusive” penned by STT Champion, Graham Lloyd – the full report appeared on page 7 – in which Graham provides a sneak preview of the recommendations made in the final report of the Senate Inquiry into the great wind power fraud, due out next week. The Abbott government is being urged to strip billions more from subsidies to wind farms in the final report of a Senate committee that has already pushed renewable energy investment to favour solar. The report has been circulated and details have been provided to The Australian. The call for time limits on subsidies and federal noise oversight is likely to provoke a backlash from the wind industry, already reeling from a federal government directive to the $10 billion Clean Energy Finance Corporation that it stop lending to wind projects. The deal included crossbench support to include forest waste in the revised renewable energy target legislation. A ban on issuing RECS to wind farms in states that do not adopt federal guidelines on infrasound is designed to force the hand of governments that rejected a national approach at the last Council of Australian Governments meeting. At present, noise guidelines are administered by the states, but renewable energy certificates are issued by the commonwealth. The RECS are sold to power authorities, which must secure a set portion of their supply from renewable sources under the RET. The Senate committee has been particularly concerned by complaints from people living near wind farms who believe low-frequency noise and infrasound is having an impact on their health. The existence of health impacts from wind turbines has been rejected as unproven by health authorities, but as the number of complaints increases the issue is being investigated worldwide. The final Senate report recommends the scientific committee have the power to provide “guidance, advice and oversight” to bodies funding and undertaking research into infrasound. As an aside, it’s the Renewable Energy (Electricity) Act 2000 that would be amended (not the Clean Energy Act) – s40 of which sets the target. However, no doubt due to his desire to be seen as objective, Graham slips a little when he suggests that the health impacts of low-frequency noise and infrasound are somehow a matter of “belief”. When the next-door neighbour’s rooster fires up at 5 o’clock in the morning (every morning) – and wakes up the entire household, the interruption to decent sleep is viewed pretty dimly by those deprived of it: tempers start to fray over bleary-eyed breakfasts; and forced weariness takes its toll on the functional ability of Foghorn Leghorn’s victims as the day rolls on. The same goes for those with neighbours who love cranking up AC/DC at two in the morning – or the early rising gardener, who whips his lawn mower into action well before sun-up on Sunday. If someone is complaining about losing sleep due to night-time noise – that complaint is taken as an accepted fact – and their “belief” in the cause has got nothing to do with it: prove that the noise was being generated and the rest follows. For every other kind of noise source, the authorities take those complaints seriously – roosters get the chop; police get the noisy-neighbour to wind down their stereos; pubs allowing rock bands to rock-on past their curfews, face licensing penalties; and eager-beaver gardeners are told by EPAs or Councils to leave the lawn mowers and leaf blowers in the shed, until the neighbourhood has had a chance of a leisurely weekend lie in – or to expect to get whacked with fines if they don’t: for a few of the rules, see the Victorian EPA’s site here. But, for some strange reason wind power outfits are permitted (or, rather, encouraged) to operate these things around the clock, with noise ‘rules’ so lax as to be risible. Which brings us to the Senate’s recommendation to prevent Renewable Energy Certificates (RECs aka LGCs) being issued to wind power outfits operating in States that refuse to adopt federal regulations on infrasound and low-frequency noise – regulations that will be drawn up as another of the Senate’s recommendations. 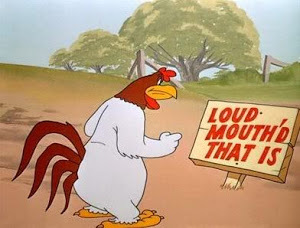 The Federal Government has always taken the line that noise regulation is a matter for the States. A position which rudely ignores the fact that the wind industry would not exist in the absence of the massive federally mandated subsidies set up by the Large-Scale Renewable Energy Target (LRET). It’s a line that’s been spun by PM Tony Abbott who says that the “sites of these things is a matter for the state governments”. 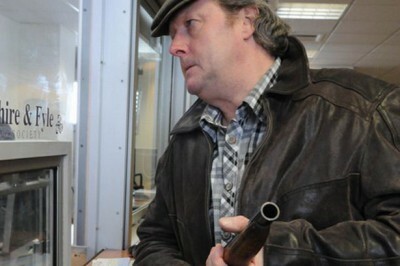 STT has likened that pitch to the ‘defence’ run by the bloke who sells the sawn-off shotgun to an armed robber. Sure, the illegal firearm vendor didn’t actually pull the trigger and send a bank teller for an unscheduled trip to the morgue. However, in the absence of the weapon supplied, there may have been no robbery – certainly not an “armed” one – and no harm done to bank tellers, in any event. In the criminal law, the concept of liability for those who provide the arms to known bandits is picked up in the concepts of accessorial liability – the ol’ chestnuts about aiding and abetting, accessory before the fact and all that. In this case, though, the Coalition is not only providing the weapon, from now until 2031 it will be supplying the offenders with an endless stream of ammunition – in the form of around 500 million Renewable Energy Certificates; designed to be worth over $90 – as young Gregory Hunt calls them: “a massive $93 per tonne carbon tax” – the $46 billion cost of which will be borne by all Australian power consumers (as we detail below). The Senators on the Inquiry have worked out that the only way to prevent wind power outfits from stealing any more Australian homes is to disarm the bandits by tying the ‘entitlement’ to wallow in millions of RECs to a meaningful noise standard. The other “killer” recommendation is that the REC Tax/Subsidy paid to wind power outfits be limited to a period of five years. There aren’t many people – outside of the parrots profiting from it – who actually understand the fact that the REC is designed as a perpetual subsidy to wind power outfits – recouped through retail power bills as a TAX on all Australian power consumers. Outside of those engaged in the rort – or keen to aid and abet those involved – hardly anybody understands the quantum of the subsidy; who pays it; and its longevity. And that, until recently, included the Senators involved in the Inquiry. STT hears that – at the very first hearing in Portland in Victoria on 30 March this year – a number of them were gobsmacked to learn that the REC subsidy is not limited to last for 2 or 3 years, say – but is designed to run for more than a generation – from 2001 to 2031. STT has set it out before, and for the uninitiated, we’ll set out again. A REC is issued for every MWh of wind power dispatched to the grid; and a shortfall penalty of $65 per MWh applies to a retailer for every MWh that they fall short of the LRET target – the target is meant to be met by retailers purchasing and surrendering RECs in an effort to avoid the penalty. Under the latest 33,000 GWh ultimate annual target, assuming that RECs hit $93, as the penalty inevitably begins to apply (RECs are currently trading around $52), the total cost added to power consumers’ bills will top $46 billion (495,600,000 x $93). The LRET ‘system’ was designed around RECs being worth $93, with the $65 per MWh shortfall charge setting the ‘floor price’ for RECs, and the tax treatment of RECs taking their value to over $90. It’s power consumers that get lumped with the “retail price of electricity” and, therefore, the cost of the REC Subsidy paid to wind power outfits. To call that arrangement anything other than a TAX is pure political and PR nonsense. To give some idea of how ludicrously generous the REC Subsidy is, consider a single 3 MW turbine. If it operated 24 hours a day, 365 days a year – its owner would receive 26,280 RECs (24 x 365 x 3). Assuming, generously, a capacity factor of 35% (the cowboys from wind power outfits often wildly claim more than that) that single turbine will receive 9,198 RECs annually. At $93 per REC, that single turbine will, in 12 months, rake in $855,414 in REC Subsidy. But wait, there’s more: that subsidy doesn’t last for a single year. Oh no. A turbine that started operating this year will continue to receive the REC subsidy for 16 years, until 2031 – such that a single 3 MW turbine spinning today can pocket a total of $13,686,624 over the remaining life of the LRET. There has never been a subsidy scam like it in the history of the Commonwealth. Now, consider the contrast with the Coalition’s Croesus-like corporate welfare directed at the wind industry. The wind industry exists – and ONLY exists – to wallow in a subsidy stream which will hit $3 billion annually in 2019; and which continues at that colossal rate until 2031. True it is, the PM is keen to R.E.D.U.C.E the LRET subsidy for these things, but plenty of other Coalition lightweights and wind industry shills – like Dan Tehan, Sarah Henderson and young Gregory Hunt (and the wind industry plants that work in his office) believe that the cost of the massive subsidies directed to wind power outfits under the LRET is magically picked up by fairies and pixies; and that the policy is a no-cost, family and business friendly vote winner. However, the Senators on the Inquiry – including Coalition Members,Chris Back and Matt Canavan – have worked out that the truth is all the other way – which has led to the recommendation of a 5 year limit to the rort. That limit will kill the wind industry stone-dead: no ‘investor’ will stump up a penny from here-on, unless the subsidies are written in stone, to last indefinitely. The wind industry, its parasites and spruikers didn’t see it coming – and have been reduced to wailing about their imminent demise. Oh dear, how sad, never mind. Australia, Events- upcoming!, Faux-green, fighting wind turbines, not financially feasible, Return to sanity! ← There is Absolutely NO Doubt About It….Wind Turbines Make People SICK! Out of all the wind turbines put up worldwide.. How many power stations were taken offline? ZERO. Zilch, not a one. Cart before the horse. A system designed by the UN to effectively strip out trillions from the world economy and place it in the hands of big corporations.